Exclusive, oceanfront condominium at Island Club property. Located on the top floor, this condo feels like home with vaulted ceilings, fireplace, large kitchen, and plenty of space for a large family to eat. The expansive sun-deck has new polywood table, chairs and lounge chair, displays the very best ocean and sunset views on the island. 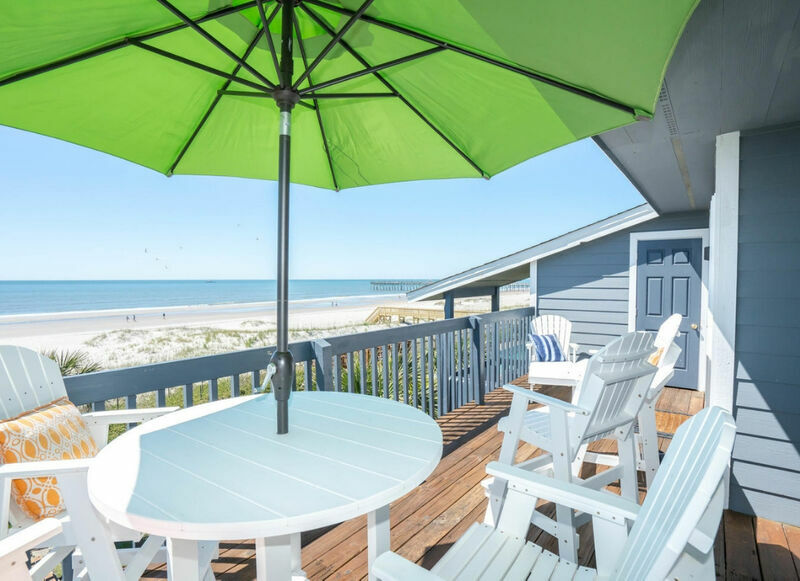 With a prime location that is very close to the pier, putt putt golf and walking distance to Ocean Isle's best restaurants, you'll really enjoy your time at OIB. Accommodates 7 people in three bedrooms with 2 full baths. 1 King in master, 1 queen and twin in guest bedroom, 2 twins in second guest room.